[To Council]Starting An Unturned Server. I'm thinking of doing Russia , a server with daily updates and new plugins. Dear Council, Some of the council members, may already know about my other "idea" and its still in progress(Wabbit) (Governor). But I'm here today to talk to you about the opening of an Unturned Server, I myself have made this server, and I could put the host up to about 50-100 players, I would like this server to be part of the HG community, and I as a creator of this server maybe the owner of the so said "Server" on the forum, I am looking for some admins so, if this goes through I will surely make an application form for all of the people who are interested. Hello, if you wouldn't mind, talk to me about the recent PMs. I'll be on steam, whenever you're free, let's talk. 1. Main Color: Turquoise 2.Shape: Deagle 3.First bar: (name/gang name/ etc...)AlvyGaming 4.2nd Bar (optional): (name/gang name/etc...)TF2 Jailbreak&Trade Team. 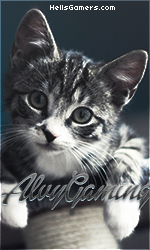 -hg- Clan Application Game Division Team Fortress 2 In-Game Name AlvyGaming Location Great Britain How old are you? 14 Which games (servers) do you play on? Jailbreak How long have you been playing on our servers? I have been playing JB for about 1-2 years now, but on those servers not much, but I could assure activity and maturity on those servers if I do get the chance to. What is your Steam ID / GUID? STEAM_0:1:87362580 Why do you want to join HG? I would like to be a part of HG, because I find myself a young, however mature person, who is willing to put time and effort in this community, make it greater everyday and actually have people saying "Well look who it is, that admin that helped me!" I want to make people like our server, to make a bond between us and our players.Another reason is that I love HG, I have already began that bond between me and the servers, I absolutely love the community, and I want to help out every single player in need. I will make sure that everyone who is not behaving will be punished too, and everyone who is playing like a normal player, they will definitely get benefits from it, like fun events from time to time, etc. All members are required to be on our TeamSpeak3 Server whenever playing on our servers. Will you agree with this rule? Yes Who (if anyone) referred you to apply? - Any other information you want to include? Thank you so much for reading my application, I wish you the best of luck, and hopefully I will get a chance.